The EYCH2018 stakeholders committee | . 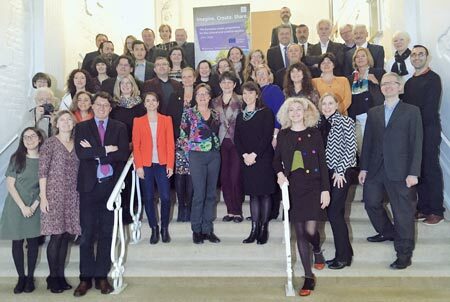 In order to coach and support the European Year of Cultural Heritage, the European Commission set up a steering group, the so-called stakeholders committee. Out of a list of 300 organizations active at European level, 35 were selected to participate in this committee. E-FAITH, the European Federation of Industrial and Technical Heritage Associations has been selected and is represented in the EU stakeholder committee of the European Year of Cultural Heritage (EYCH). We are particularly pleased that in this way we can translate and defend the efforts of volunteers and voluntary associations for our industrial heritage. We cal call attention for and promote the industrial heritage and explain the importance of industrial and technical developments in the emergence and evolution of Europe. And the role that the industrial heritage can play today.